On the Quiz page you can add, edit or remove questions and/or media such as images and video's. 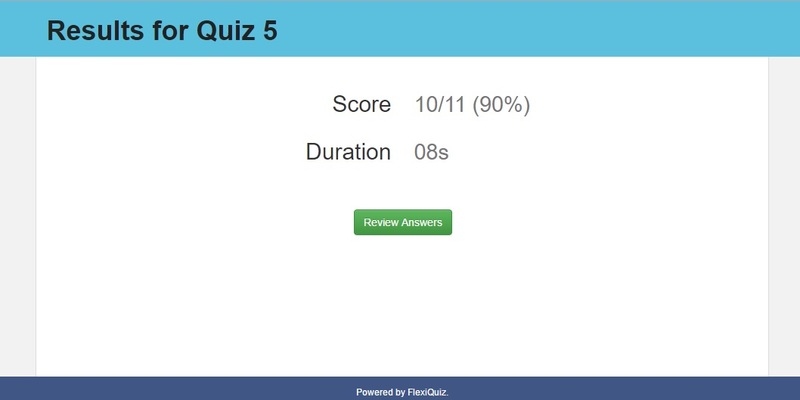 You are able to add an unlimited number of Quiz pages to your quiz and can easily move existing questions or media either within the page or between pages. You are also able to individually set each pages title by clicking on the edit icon within the pages menu, pages can also be removed from you quiz by using cross icon in the pages top menu. Within the Welcome and Thankyou pages you are able to add text and media, such as pictures and videos. You are able to have just one Welcome and Thankyou page within your quiz and they are the first / last pages shown to the user. If you have set a timelimit for your quiz this will only start after the Welcome page. To add Welcome or Thankyou pages simply click the Add Page button and the select Welcome page or Thankyou page, you can edit or remove the page by using the buttons within the pages top menu.